For the Ministry of Agriculture, the work in Drenas and Vushtrri that began in the 80s was completed three years ago in 2016. While this is true on paper, on the ground little has changed, yet the Ministry transferred all the money agreed to the private companies for implementing 100 per cent of the requirements stipulated in the contract in these municipalities. Drenas is one of the municipalities where the project was to be implemented on a bigger-than-usual scale. This included 21 cadastral zones that covered 4,790 hectares, which, when multiplied by the unit price of 197.40 euros per hectare, reaches the value of almost one million euros. At the end of the contract implementation, participants in the land regulation process complained to the Ministry, but they were rejected as unfounded and were either forwarded to the municipal commission for reconsideration or sent to the court. “After these complaints are completed, the cases are ready to be placed on the Immovable Property Rights Register, IPRR, in the Municipality of Drenas,” said a report sent to BIRN from the Ministry of Agriculture. This was said despite the fact that article 27 of the Law on Land Regulation clarifies that the land consolidation process “ends with new owners finally appearing in the IPRR.” Consult Engineering’s ‘final report,’ issued on May 28, 2015, said that all the work according to the contract for this municipality was completed. The Ministry designated an implementation commission headed by Hakif Hasi to oversee the land regulation project in Drenas. According to the law, the commission is responsible for the project of land regulation, drafting planning documents and implementing all other relevant procedures. Two members of the commission quit while implementing this project and they were not replaced. Hoxha and Nebihi said that they have no information or documentation related to the implementation of the project on land regulation in Drenas. Meanwhile, Hasi refused to answer numerous questions that were sent to him over the last two months. A letter written by a member of the municipal commission, Vehbi Berisha, to Ramiz Lladrovci, the mayor of Drenas, explained the issues in Drenas for the landowners clearly. The Directorate of Cadaster, Geodesy and Ownership refused to accept the documentation prepared by Consult Engineering. A March 2016 letter written by Mehdi Kurrumeli explains the reasons why the documentation was not accepted by the Directorate for the plots in Drenas. “There is reasonable doubt that this Directorate purposely didn’t accept the offered documentation from the Commission for the registration of owners of the real estate that came after the implementation of the land regulation, so that he gets the chance to make the physical demarcation of these plots in a private capacity, while at the same time, he did not get the chance to update these changes in the Cadastral Municipal Book,” Hasi said. Hasi gave this explanation in 2019, though he himself had a different stance years ago, when the company claimed that all the works the Ministry had engaged them to do in Drenas were completed. Some reports that Hasi signed reveal how much of this contract was implemented. According to these reports, the work was finished according to the technical specifications of the contract. On the last report dated June 2, 2015, Hasi wrote that the eighth report of the company claimed to be the final one, and according to him, the Ministry should not have accepted it. “Based on the article 27 of the Law on Land Regulation, it is the Municipal Commission that sends the Ministry the request to approve the decision for completion of the land regulation project, not to the economic operator,” he continued. The Ministry did not provide BIRN with the documents referred to by Hasi. Through the same contract, the land regulation was implemented in Vushtrri. Based on a report provided by the Ministry, the land regulation project that started in the ‘80s was completed in 6 cadastral zones of the municipality, 943.6 hectares of land. Emrullah Muli was designated as the leader of the consolidation commission for the implementation of this project in Vushtrri. Muli concluded in a number of reports that the company completed the works according to the contract requirements. The last one was dated on February 19, 2016. BIRN addressed questions to Muli through the municipality, to no response. In Vushtrri, most of the land subject to consolidation was integrated into the IPRR, but local authorities explained that this wasn’t the result of the work done by the company that the ministry contracted, and not even the result of the municipality either. Haradinaj said that the owners of the new parcels, organized under the land regulation process, have no disputes, and are equipped with property certificates, are able to make transactions with these documentation, and apply for mortgages, subsidies and grants. He said that the IPRR register has not included the plots that have disputes or those that have appealed decisions. Currently, the ministry is implementing a land regulation and agricultural land inventory contract it has with the consortium of Consult Engineering and Geo&Land. The contract is to be completed by August 2020, and is worth 1.5 million euros. This contract too entails fulfillment of the payments after each final stage is finished. Neither the ministry nor the two companies offered any information on the state of the implementation. The companies were asked to show us the contracts they have with the Ministry of Agriculture and the level of its implementation. Meanwhile, there is a relevant document which shows the problems with land regulation and land inventory and speaks about the investments that will be made. ‘Expansion of farms through land regulation and regulating agricultural land’ is the title of one of the sixth steps to be taken in the Kosovo Program for Economic Reform 2017, a document that addresses the key state priorities agreed with the EU. This points out that the regulation of agricultural land will be implemented by applying structural reform, including legal and institutional measures, regulation of agricultural land in plots with regular geometric form, then investing in and creating a field road network to facilitate direct access to the plots, as well as rational use of agricultural land in general. This measure was implemented in the National Development Strategy, as well as the Strategy for Property Rights. According to this document, four activities were expected to take place in 2017: review complaints that came out of the incomplete land regulation project by the municipal commission for land regulation in Drenas with 4,790 hectares of agricultural land; data entry in IPRR, registration from municipality cadaster; implementation of a pilot project for voluntary agricultural land consolidation based on the methodology of the FAO and funded by FAO, which includes 25 hectares of agricultural land in a cadastral zone in Celine, Rahovec; and the continuation of voluntary land regulation project of agricultural land in 10 cadastral zones in the Municipality of Viti of 2,790 hectares, including informing the owners, solving property issues and reviewing the beneficiaries’ complaints. This document also describes the action to be taken in the next two years. In 2018, these actions were foreseen: the continuation of voluntary agricultural land project in 10 cadastral zones in municipality of Viti with a surface of 2,790 hectares, and relaunching the unfinished consolidation project in municipality of Mitrovica in 4 zones of a total 725 hectares. Neither of these actions were ever completed. Despite this, the Kosovo Program for Economic Reform for 2018 noted that “The incomplete project of agricultural land regulation has been completed in 21 cadastral zone in the Drenas municipality, with a surface of 4,790 hectares, and in 5 cadastral zones in the Vushtrri municipality with a surface of 487.21 hectares.”. This shows that the envisaged measures for 2017 have not been implemented. The report details the level of performance of the activities in Economic Program, specifically that these measures have not been implemented, specifically one pilot project in Rahovec and another in Vitia. A 2019-2021 reform program was approved in January this year, listing land regulation and inventory of agricultural land as one measure. Unlike the document from 2018, this document does not contain attachments that indicate the level of implementation of the actions that were foreseen to be taken in previous years. However, there is information about investments that were planned to take place. The total cost of its implementation for 2019-2021, according to the program, is expected to be 3.8 million euros. From this amount, 1.4 million euros for 2019, 1.2 million euros for 2020 and another 1.2 million euros for 2021. From the Kosovo budget, there will be 702,668 dedicated for 2019, 500,000 euros for 2020 and 2021, and GIZ will cover 700,000 euros for 2019, 2020 and 2021. The report emphasizes the risk that a “lack of the co-operation and lack of will from the citizens to participate in the voluntary land regulation process” could hinder its progress. The EU Office in Kosovo said that this program of land consolidation has no fast solution for land regulation. Only the first projects of land regulation, implemented almost a decade ago, are fully completed. Three companies were contracted then to complete the original consolidation project in Gjakova. Geo and Land in 2009 had a one year contract with the ministry for land regulation services for agricultural land in the municipalities of Vushtrri and Obiliq. The value of contracted work was 643,000 euros. It was contracted for 3,400 hectares in Vushtrri with the price of 150 euros per unit, and 1,026 hectares in Obiliq with the price of 130 euros per unit. The terms of references included, amongst other things, correcting the data according to remarks made before registration in the IPRR; submission of final documentation with technical and legal corrections for cadastral zones subject to land regulation; and the completion of requests from the Kosovo Cadaster Agency for updating cadastral data for registration of the property in IPRR. At the time, companies were contracted to oversee the projects. The company that had to make sure the contract from the company GeoInfo was implemented, Consulting MM was contracted. This contract was signed by Murat Meha, chief of Kosovo Cadaster Agency at the time. During 2010 and 2011, the company received 50,600 euros from the ministry. In December 2011, the Ministry of Agriculture signed a contract with the company Intersphed from Ferizaj, with the title ‘Land regulation in the Gjakova municipality.’ The agreed price was 108.20 euros per hectare for private properties, and 60.40 euros per hectare for public properties. There was a contract for the consolidation of 2,909 hectares for private land, priced at 314,753.80 euros, and 3,857 hectares for state properties, coming to 232,962.80 euros. This contract cost 547,716.60 euros. Tomor Qela signed this contract, one of the people who supported the demarcation agreement with Montenegro, which was refused by the opposition at the time and backed by experts who said that Kosovo lost about 8,000 hectares of land through that deal. Article 26 of contract specified when payments should be made. It stated that the contracted amount should be paid after the completion of land regulation services and after the boundary of each cadastral zone was included in the project. There were 18 technical specifications of the project, similar to the situation of the contract with Consult Engineering. The last specifications required that in the cases where old decisions existed and there were no requests for ownership updates, the plots in question should have been sent to be registered in the IPRR. On the other hand, in cases where old decisions and requests for ownership updates existed, the project’s implementing company was obliged to finish the measurements depending on the actual field situation. In this situation, the municipality land regulation commission was obliged to prepare the whole required documentation according to the provisions and send these for registration to the IPRR. In cases where there were no older rulings, the project’s implementing company was obliged to finish the measurement depending on the field situation. 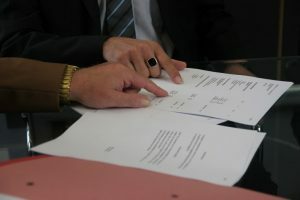 During the implementation of this contract, compromises were made, and the entire process was accompanied with problems. An additional complaint was also that qualified professional staff were missing in this company. Soon after this complaint about the staff, there was an awkward situation. “Tomor Qela called me and threatened me that we would see each other and that he wouldn’t send any kind of experts, because he is not accountable to the commission. From that moment onwards he cut contact with the company and the commission, reads Shabani’s report. The newspaper contacted Qela, who refused to respond to issues related to the implementation of the contract, saying he only acted as a “back-up” while the project was being completed. When contacted, the company also did not respond to questions. However, the problems only got bigger. A meeting between the commission’s representatives, the supervisors of the Ministry, and the directorate of procurement appeased the situation and decided that they would cooperate. They selected the cadastral zones in which the company should start working, and decided the work supervision was to be done by a member of the commission, selected by the Ministry. It was led by Nehat Veliu, but Marjan Karrica was also a member. This member was born in Doblibare, one of the cadastral zones where the project was supposed to operate, which he was supposed to supervise. There were a lot of properties in this area, and BIRN reviewed the certificate that proved there was land owned by different families in these areas whose documentation had been burned before the war. Until July 2012, somewhere around six months after the investment, the Ministry’s legal department stated that Karrica “has legal obstacles that prevents him to supervise the work as a commission’s member for the land regulation in the Gjakova Municipality,” and that he should be substituted with another member of the commission. By the end of November 2012, the supervising commission that was selected by the ministry stated that the company had not implemented the contract fully. Up until now, the company had finished the work in these cadastral zones: Ujez was 100 per cent complete, the Gjakova suburbs were 90 per cent complete; Rugove II was also 90 per cent complete, and in Vraniq 65 per cent was complete. For eight other cadastral zones foreseen for land regulation in the contract, there was no data whatsoever. The contract was completed on November 8, 2012. Based on article 5 of the contract, the company should have prepared a report about the ongoing work at a certain time, and it should have submitted it to the ministry, compliant with the 18 technical specifications contained in the contract. “The ministry commission have not received any report in regards to the work completion in any of the listed cadastral zones or the fulfillment of technical specifications of the tender until the foreseen expiry written in the contract,” reads a report of the ministry’s commission. After the contract completion, as requested by the company, the ministry extended the deadline for the project implementation. According to this agreement annexed to the contract, the work should have been finished by June 14, 2013. They extended the contract for six months, although the legal department had stated that the extension should have been only three months. According to a report written by the supervising commission, Intershped had completed the work as required in the contract, adapting to the technical specifications for the reported lands in four cadastral zones in the Gjakova municipality: Rugove I, Ujez, Vraniq and the periphery of Gjakova. The consolidation commission submitted the the land regulation documents for these four zones to the cadastral offices. The total completed surface regulated was 967 hectares of private property and 1,730 hectares of social property. According to the ministry, the company did not meet the contract expectations. In 2012, the company was paid 82,000 thousand euros, and another 127,000 euros the next year. With this project much of the land was split, contrary to what the land regulation was actually supposed to do. On August 9, 2013, Tomor Qela requested another six-month contract extension on behalf of the company, but was refused. Before this contract, the Ministry of Agriculture signed another procurement contract for the Gjakova land regulation. It was July 2008 that officers of the ministry signed the document that contracted the GeoInfo company from Prishtina. Muzafer Mustafa signed on behalf of the company. Apart from Gjakova, another land regulation project should have been completed in Klina. This contract was signed for the completion of the land regulation process that began in 1983, but was never finished. The Geo-Info company had assured that the completion of the 375,440 euros contract for the 2008 agricultural lands regulation services would happen. In the Gjakova municipality, the project should have been finalized in 5 cadastral zones of 1,378 hectares, valued at 230 euros per unit. Further on, the contract stipulated that Klina municipality would have the a cadastral zone of 130 hectares, at the price of 450 euros per unit. “In cases of terrain obstacles, the company’s actions would have to expand even in the zones of the same municipality, prices of the above-mentioned costs depend on terrain level for each relevant municipality,” the contract reads. The following work was not implemented according to these requirements. A month after the contract was signed, an annex to the contract was also signed, meaning that the actual contract was extended until December 10. The company began working in September of the same year. Based on the Municipality’s Commission for Land Regulation report, somewhere around 560 rulings of IPRR were all set and registered, and the changes and updates on IPRR were made for about 1,350 hectares of land, whilst it was said that another 450 hectares were in the process of completion. The Directorate of the Rural Development Department reported on the project delivery rate on December 24, 2008, where it said that the work was completed according to the contact’s specifications. “The commission went through difficulties in processing, because of the huge working volume and legal problems, the documentation shortage and the absence of owners, on top of the technical problems with the land,” the report emphasized. 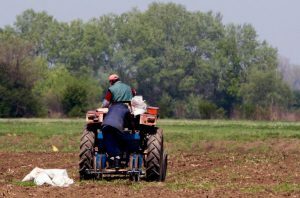 According to the same contract, the volunteered land regulation should have started developing 130 hectares in the village of Videj in the Municipality of Klina. However, the residents showed no interest in this. Contrary to the contract requirements, the land that should have been completed in Klina was actually finalized in Gjakova. 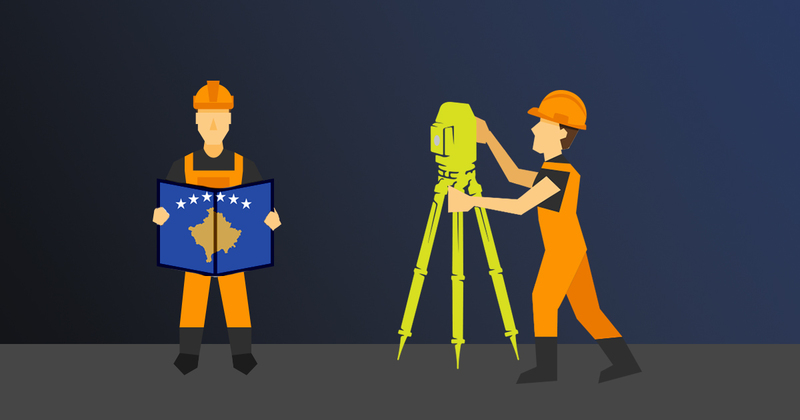 Instead of Videj, the project was moved to two cadastral zones in Gjakova. Regardless of this, at the end of the fiscal year, the ministry’s commission recommended that the company be paid, and this was carried out. Within a decade, three different companies were contracted in Gjakova to finalize the regulating of the agricultural lands, but none of them had finished the work in Qerim. The companies were awarded millions from the government but Mark Lasku and his neighbors are living with the problems that the 35-year-old land regulation process has caused them. He said that the companies contracted should finish everything that they committed to, and not just leave the mess behind once they were paid.